Albert and I met with Jess and her husband Stephen over a cup of coffee at Starbucks. It was like talking to friends we’d known forever. They not only listened to our thoughts and ideas (I had a lot of them), but they wanted to know more about us as a couple, our history and love story. We decided right away that they would be the ones to photograph our special day. They both had so many ideas! This enabled us to get a plethora of different photos. During our engagement shoot and on our wedding day, Jess & Stephen made us laugh and feel so comfortable (we were not used to this form of paparazzi). In planning a wedding, there are so many vendors to deal with. Jess did a great job at keeping in contact with us and was easy to get a hold of, which made one less thing for me to worry/stress about. They treated us as if we were the very first wedding they have ever photographed, wanting to do their very best and putting their whole heart into it. Jess is so thoughtful as she checks in with you often and goes above and beyond to make you feel so special. She even adds a few sweet surprises your way during the process. I think the hardest thing was trying to narrow down photos to print for our house as they truly captured “US” in each photo. We are so incredibly blessed that our paths crossed and are thankful to have gained new friends in the process. Jess and Stephen are not only a match made in Heaven, they are also the perfect team to be your photographers. Mike and I had the pleasure of meeting them through friends and we booked them right on the spot. You know when you have a gut feeling about someone and you know they are honest, hardworking, and good at what they do?... Well they are it! They have the ability to not only provide you with these beautiful images that capture the moment every time, but they make you feel comfortable... they become your friends. We love the Robertson family and can't wait to capture many more great moments with you guys! I couldn't imagine using any other photographer for my wedding. Not only is Jess an amazing photographer with a portfolio to prove it, she is also very professional, creative, thorough, organized, and easy to work with. She dealt gracefully with my scattered-ness and did wonders in bringing everything together. I would recommend her to anyone looking for beautiful pictures and a wonderful photographer to work with. Jess and Stephen photographed our wedding. They did an amazing job! 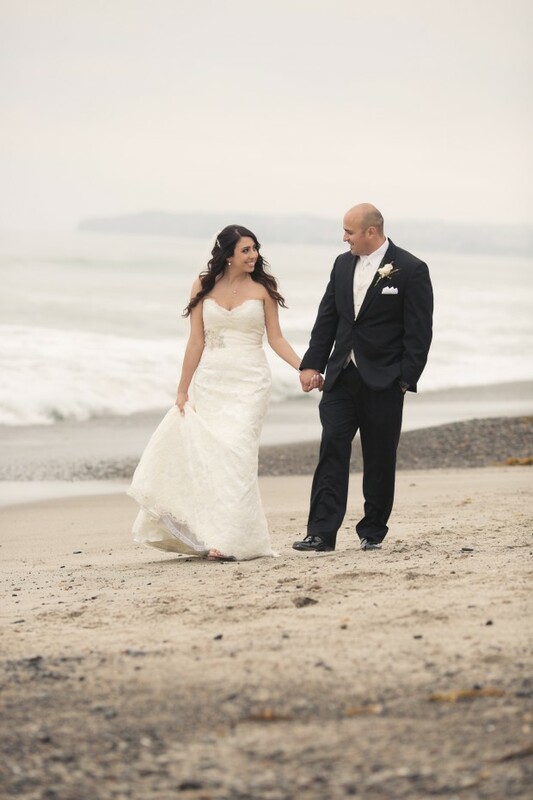 Not only did they capture all the special moments of the ceremony and reception, they also took extra time out of their schedule to drive an hour further from our wedding site to do a photo shoot on the beach in Santa Monica. It was so fun and gorgeous! They made us enjoy the whole experience! I highly recommend them for ANY photography needs you could have. I had 5 months to plan my wedding and a pretty limited budget, plus an infant at home, so wedding planning was super stressful for me. Thank goodness for Jess! The one think I didn't want to skimp on was pictures, because after the night was over that would be the one thing I had left. Jess totally worked with our budget and created a package that worked for us. And after all was said and done, it was worth every penny and then some. Not only were our pictures amazing, but I felt like I had an unofficial wedding planner. Jess was there for me every step of the way, even if it wasn't photography related, because she knows weddings!!! Any little question I had she was there. And she kept the timeline of the wedding so well. I really think she was one of the main reasons everything ran so smoothly. So many people at our wedding came up to us to let us know how much they loved Jess and Stephen, and that was before they had even seen any pictures! They just fit right in. They were super professional, but fun at the same time. Working with them was a fantastic experience!!! In a word...AMAZING! Jess and Stephen were extremely professional and attentive. They thought of all the little things and made sure the day went off without a hitch! From the moment I booked with them, I had complete confidence in them and I really appreciated that they checked in as time went by leading up to the big day. The photographs are so much more than we ever could have wished for! All of our family and friends agree that the moments they captured were truly remarkable! Love, love, love Jess Robertson Photography and highly recommend them to everyone! After months of planning our dream wedding, we decided on elopement and chose Jess Robertson Photography after reviewing literally dozens of photographer portfolios. We spoke to Jess in the weeks leading up to our wedding and felt an immediate connection with her as we envisioned our ideal settings for our pre-wedding day (Venice Beach) and wedding day (Santa Monica Pier) photos. Jess and her husband Stephen exceeded our wildest expectations – even accommodating a last minute change of plans for the pre-wedding day photos – relocating to Griffith Park and Observatory after deciding a photo shoot in Venice Beach wouldn’t work. We didn’t actually meet Jess and Stephen until the day of a pre-wedding day photo shoot – but after spending two days with them we consider them friends. Jess and Stephen were absolutely amazing – true professionals! They worked as a team to select breathtaking backdrops to stage our photos and the shots turned out better than we could have ever imagined. We would definitely recommend them – you will not be disappointed. Thank you both for helping to make our wedding a magical and unforgettable experience. Jess Robertson's photos are works of art! She has an eye for capturing the most beautiful, natural photos of you. She recently did our wedding and I was so self conscious because I don't like being photographed. If you get nervous in front of a camera, Jess Robertson is the photographer for YOU! She has a way of making you feel comfortable the entire time, and she even makes being photographed FUN! It's a gift to work with her, and I would never use another photographer for any future event involving myself or my family again!!! I highly recommend her for any photo session and look forward to when I can work with her again!!! We had an amazing experience with Jess Robertson Photography! Jess and Stephen were attentive, professional and incredibly talented. They truly completed our day for us. We would highly recommend them for anyone wishing to capture beautiful photos for their special day. I always saw those amazing wedding photos but never thought I would have them for myself. I thought eloping sounded better, honestly. Well, it didn't work out that way for me and in the long run I am happier because I would be without the wonderful photos of my husband and I on our perfect day. Jess Robertson Photography did such an amazing job capturing how happy we were that day. Jess captured the details I wouldn't have seen or would've forgotten shortly after because I was focusing on my significant other that day. Now I can look back on my beautiful day with these perfect pictures because of the wonderful job Jess did. I'm so glad we chose them and I recommend them to my friends who need photographers now. Jess and Stephen were awesome photographers! They were patient and got every shot I wanted. My pictures turned out beautiful. The pictures are something I will cherish forever!!! Jess & Stephen, I have said it a million times and yet I will continue to scream it from the mountain tops... you two are hands down some of the most amazing people I have ever met in my life. Your spirits are filled with love and joy and life and you have managed to find a way through your photography to remind each of us just how much joy life can be. I am proud to say I have such amazing people in my life. Thank you for everything.